The Miller Brewing Company is an American beer brewing company owned by the United Kingdom-based SABMiller. Its regional headquarters is located in Milwaukee, Wisconsin and the company has brewing facilities in Albany, Georgia; Chippewa Falls, Wisconsin; Eden, North Carolina; Fort Worth, Texas; Irwindale, California; Milwaukee, Wisconsin; and Trenton, Ohio. On 1 July 2008 the Miller Coors company was formed as a joint venture with rival Molson Coors to consolidate the production and distribution of its products in the United States, with each parent company's corporate operations and international operations remaining separate and independent of the joint venture. Miller Brewing Company was founded in 1855 by Frederick Miller when he purchased the small Plank-Road Brewery. The brewery's location in the Menomonee Valley in Milwaukee provided easy access to raw materials produced on nearby farms. On September 19, 1966, the conglomerate W. R. Grace and Company agreed to buy 53% of Miller from Mrs. Lorraine John Mulberger (Frederick Miller's granddaughter, who objected to alcohol) and her family. On 12 June 1969, Philip Morris (now Altria) bought Miller from W.R. Grace for $130 million, outbidding PepsiCo. On 30 May 2002, Miller was acquired by South African Breweries from Philip Morris for $3.6 billion worth of stock and US$2 billion in debt to form SABMiller, with Philip Morris retaining a 36% ownership share and 24.99% voting rights. On August 14, 2006, Miller Brewing announced it had completed the purchase of Sparks and Steel Reserve brands from McKenzie River Corporation for $215 million cash. Miller had been producing both products prior to this purchase. On October 10, 2007, SABMiller and Molson Coors agreed to combine their U.S. operations in a joint venture called Miller Coors. SABMiller owns 58% of the unit, which operates in the United States but not in Canada, where Molson Coors is strongest. Molson Coors owns 42% of the joint venture. However, the companies have equal voting power. 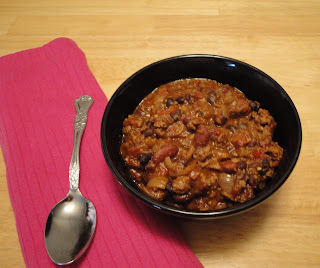 This is a hearty chili. Your family will walk away from the table with a smile and a full belly. In dutch oven, heat oil over medium heat. Add onions, sauté onions until translusent. Add minced garlic near the end of onions cooking, and then remove onions to a dish. In the same pot, brown meat in 1/2 can beer. Drain grease. Stir in refried black beans and onions. Add remaining ingredients. Stir well. Simmer for 30 minutes. Enjoy!